Even if you spend a fortune on your kitchen floor tiles and buy the best tiles that money can buy, one day sooner or later you are going to have to replace the grout that holds them together. 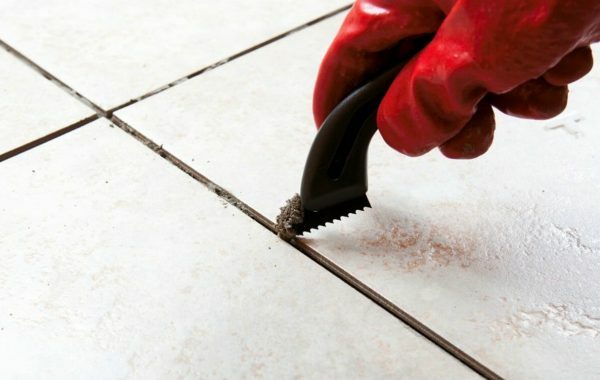 The grout is the most vulnerable part of any tile, and it does not last as long as the tile itself. As a result, over time it can wear away and change colour to an unattractive, grimy brown. Apart from the need to change the grout for aesthetic reasons, there is also another very important reason why you should not just put up with the grout when it changes colour and wears down. If it wears away too much, water can get underneath the tiles and start to rot the floor beneath. If you have the tiles on the countertop then it can cause damage to this as well. When the grout starts to change colour and crumble away, now is the time to remove it. The simplest way to do this is with a simple tool called a grout saw. This has a steel blade that is very strong, and you can use it to manually scrape out the grout from between the tiles to reveal the gaps by running it along the grout back and forth. If you have a lot of kitchen wall tiles or floor tiles and you don’t like the idea of scraping out all of the grout manually, you can use an automatic tool that does the same thing and uses up less energy. Once you have removed the old grout, you are now ready to replace it with new grout. Start by taking a soft sponge, dampening it with water, and then wiping it over the surface of the tiles and the lines between them. Next, take your grout mixture – the mixture you use may differ depending on the tiles you have, so if in doubt ask for advice in the store – and tip it onto the affected tiles. Using a rubber flow, spread the grout all over the tiles so that it fills the gaps that you have just scraped out. Use the float at a 45 degree angle, and try to move from one corner of the tile to the other in a diagonal motion for the best results. The next stage is the easiest. Simply leave the grout for a few minutes to harden, and then take the sponge and wet it again. 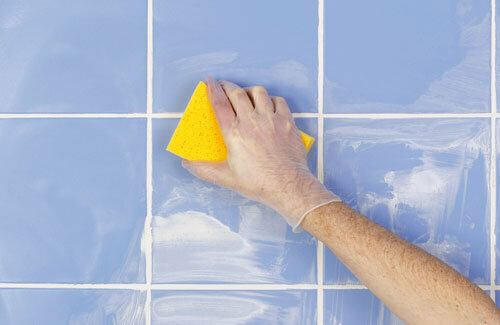 Wipe the sponge over the surfaces of the tile, and repeat the process until the tiles are clean. You may have to do this a few times until the tiles are clean, and then take a paper towel and buff the surface of the tiles to leave them looking clean. You can then leave the tiles alone so that the grout can set properly. 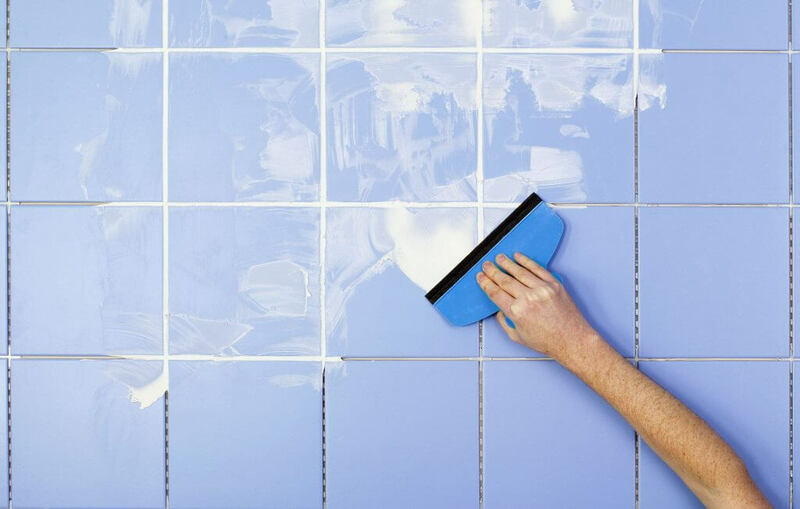 Replacing the grout in your kitchen wall tiles or floor tiles is a simple process that will leave your tiles looking clean again. It is also important to do to prevent water from getting underneath the tiles and causing damage. Follow the simple three-step process above and you will soon be able to replace the grout so that it can last for many more years.